Five French trade unions have called for the release of Iranian teacher activist Mohammad Habibi and other teachers imprisoned in Iran in an open letter to Supreme Leader Ali Khamenei. 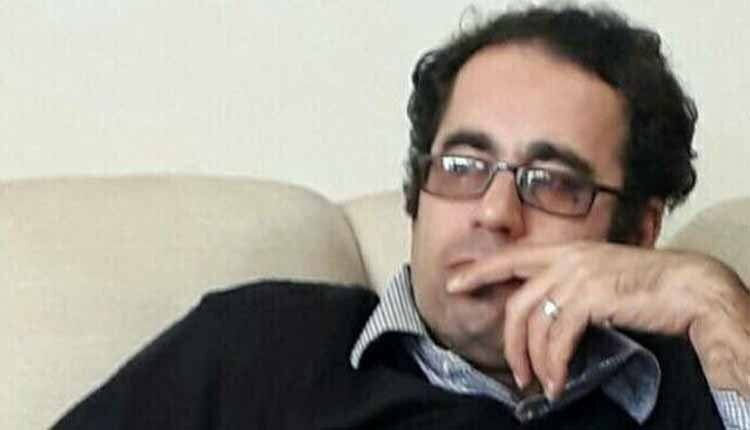 “The imprisonment of Mohammad Habibi is a violation of human rights and the fundamental freedoms of unions, and on this basis we want his immediate release,” the French Unions’ letter to Khamenei read. The International Alliance in Support of Workers in Iran (IASWI) reported that on May 20 a peaceful gathering organized by the Iranian Teachers’ Trade Association of Tehran (ITTA-Tehran) was attacked by security forces and undercover agents. Fourteen participants, including Habibi, were arrested. At the time of his arrest, Habibi was on bail from a previous arrest in March. All of the participants in the May 20 gathering except Habibi were freed one day later. Habibi was transferred to a solitary confinement cell in Tehran’s largest prison and has been denied medical attention, according to his family. According to his wife, Khadijeh Pakzamir, Habibi was beaten up. “About mid-day, when the children were leaving school, several plainclothesmen, without presenting their IDs, approached my husband, waved an alleged arrest warrant and told him he was under arrest,” Ms. Pakzamir said, describing his earlier arrest in March. Ms. Pakzamir says she is deeply worried for her husband’s life. Recently, at least six prisoners have died under suspicious circumstances behind bars in Tehran and the city of Arak in central Iran. Authorities claim they committed suicide, a claim the prisoners’ families dispute. Habibi is currently serving a seven and a half year sentence at the notorious Great Tehran Penitentiary (GTP), in Fashafouyeh. He was convicted of “assembly” and “collusion” against the security of the Islamic Republic. When he is released he will be subject to a two-year travel ban and two years of prohibition from participating in unions and political parties, as well as 74 lashes. Meanwhile, the Education Ministry has reportedly stopped paying his monthly salary. The letter emphasizes that Habibi’s case is just one example of the persecution of private trade unions in Iran. The French unions, in the meantime, say they hold Ayatollah Khamenei responsible for Mr. Habibi’s health and well-being. International human rights organizations, including, Amnesty international (AI), the New York based Center for Human Rights in Iran (CHRI), Human Rights Watch (HRW), the International Education Organization, and the British Teachers’ Union have widely condemned the Islamic Republic’s increased crackdown on rights and union activists, demanding Tehran immediately free such individuals, especially those whose harsh treatment in captivity has been documented. The Islamic Republic does not recognize independent trade unions and treats their activists as dissidents directed by “foreign enemies,” which is usually code for the United States.